At Lesslie Vision Care we know that it can be hard to make a decision about your eyewear as it goes beyond good vision and makes a statement about who you are. Your decision will affect how you see and also how you will be seen. With the abundance of styles to choose from, getting the right look for you and your lifestyle can be overwhelming. 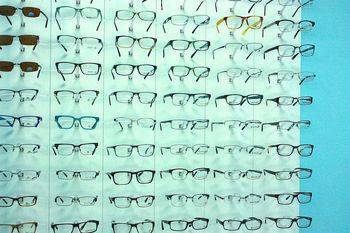 The eye care staff at Lesslie Vision Care are experts at helping you find the best fit for your personal needs. 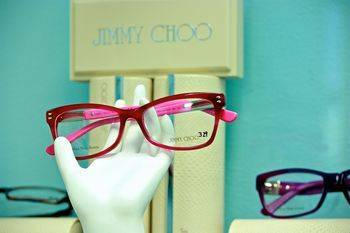 They will also explain how different lenses and frames will affect your vision. 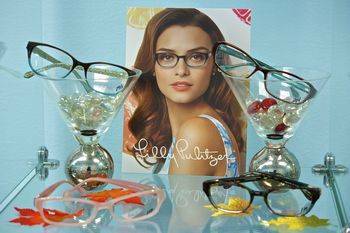 They will help you sort through your options so you can find the look, fit and functionality you want from your eyewear. 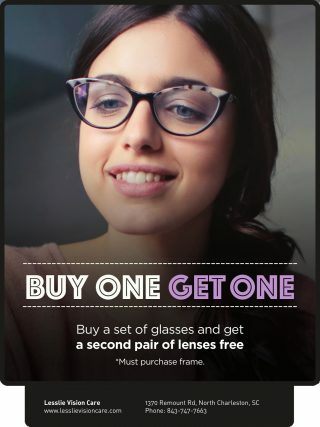 Lesslie Vision Care in North Charleston carries a large variety of top designer frames for both eyeglasses and sunglasses at thier optical. 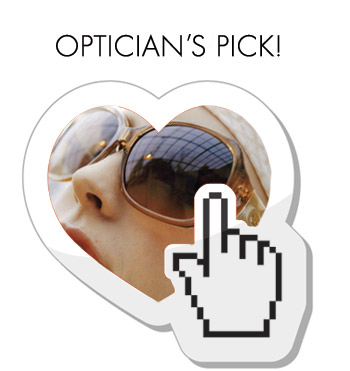 Scratches, glare, ultraviolet rays can be minimized or eliminated by a lens treatment. Sports glasses, Protective eyewear, SCUBA diving - glasses for your specific needs. Blue light is generated by computer and mobile devices. Blue light has been known to cause eyestrain, headaches and fatigue. Computer glasses help your eyes focus at this intermediate range, making computer viewing over an extended period of time more comfortable.